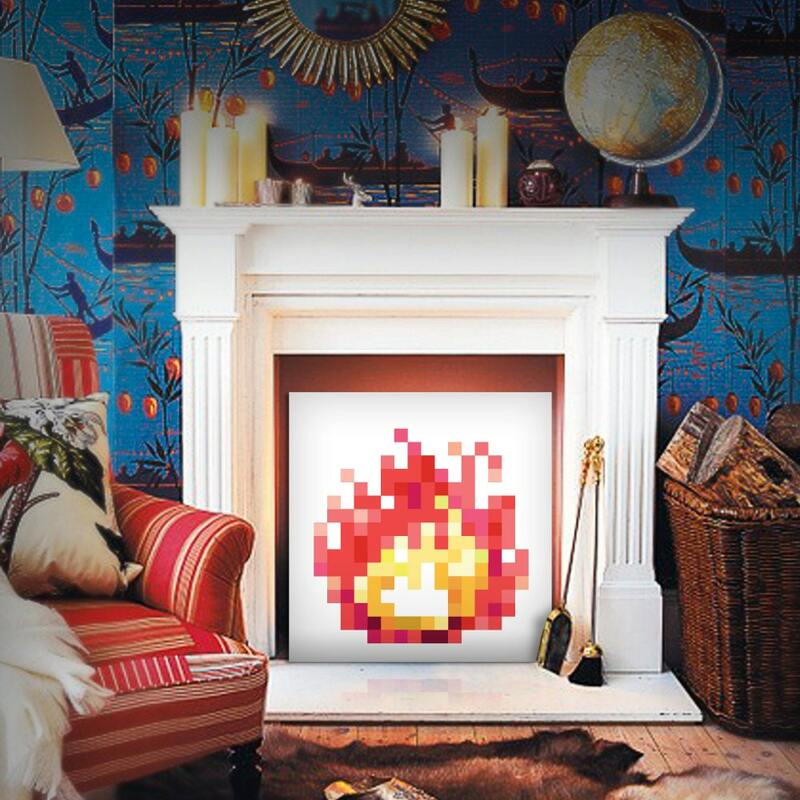 The 8-Bit Fireplace is made with high-quality archival inks and printed directly onto museum-quality canvas. 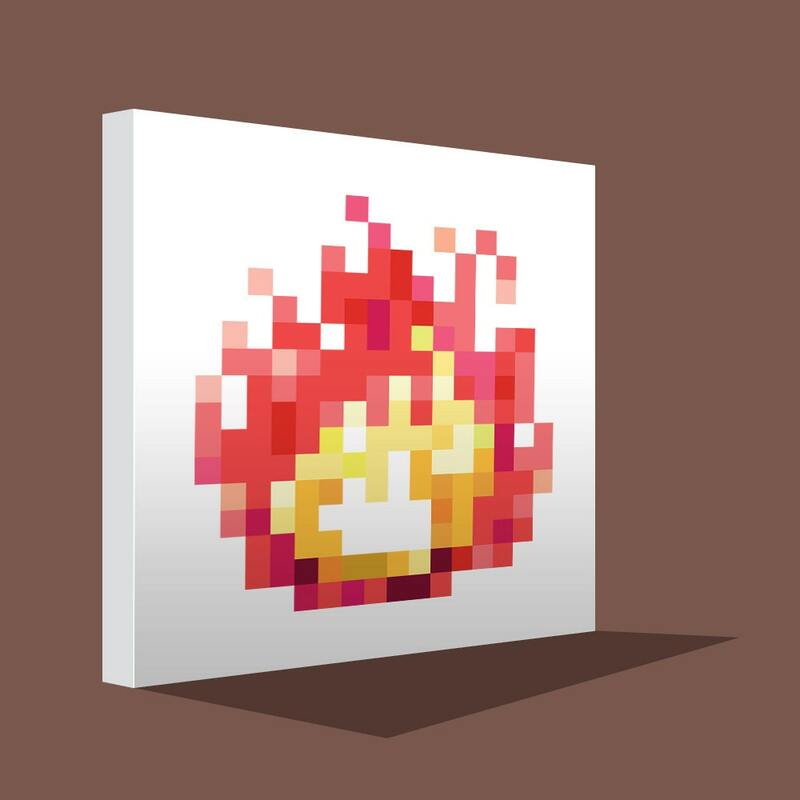 Each canvas is gallery wrapped and stretched over a sturdy wood frame. Protective spray coating is applied to the surface of each print to help prevent scratches and other damage. Contact us for custom sizes. We can fit any fireplace.